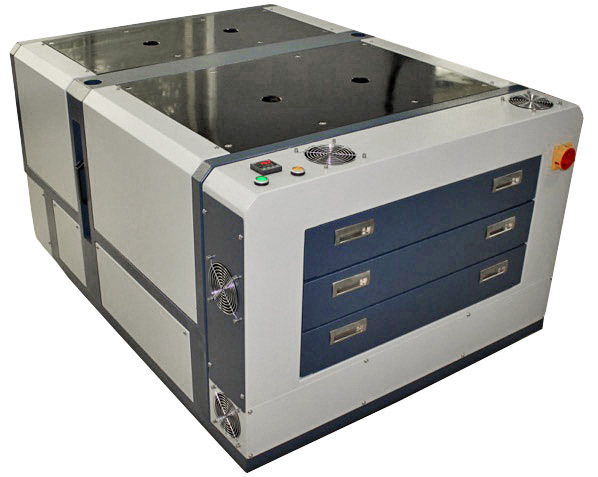 Adelco’s automatic drying cabinets offer a compact, space-saving and economical solution for the curing of digital and screen printed textile inks. Using temperature controlled, high-velocity airflow for optimum curing, the balanced airflow system directs the hot air directly onto the textile ensuring maximum efficiency. 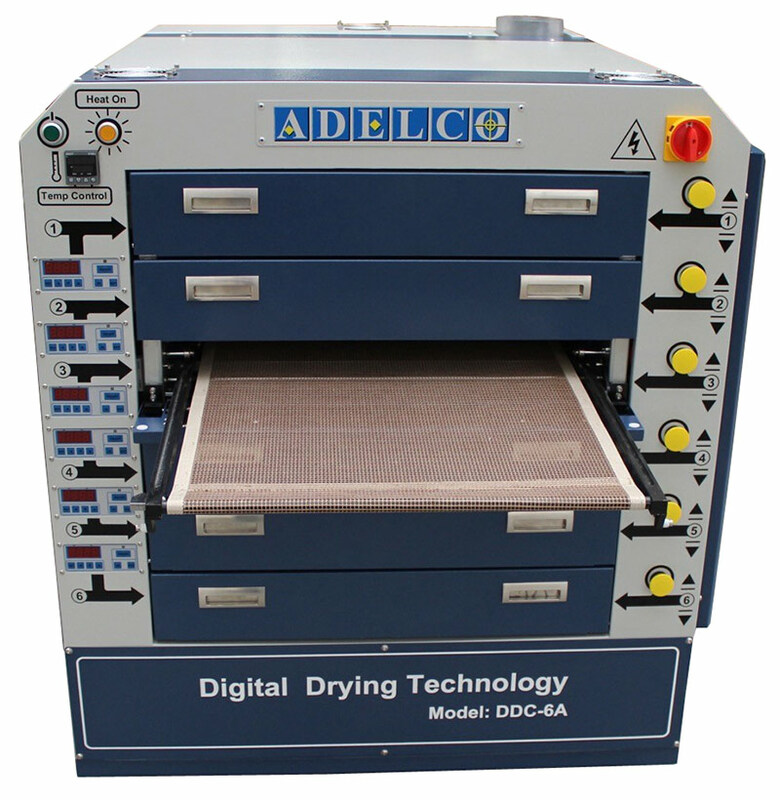 Adelco is the only manufacturer to offer drawer dryers with automatic drawers. 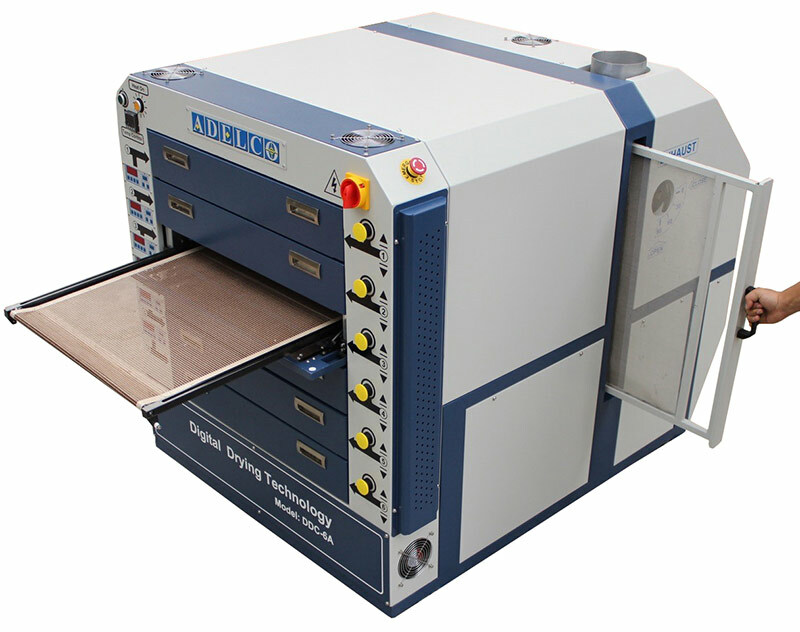 Both models come with manual and automatic drawer options.